Paul Johnson is the only member of Oh Gravity, a collaboration with Nashville management company WeVolve Music who look after other artists in the pop/rock/country genre. Johnson has released his debut EP Never Fade Away, hoping to show off his writing and playing skills as a solo artist. Title track 'Never Fade Away' is a sombre one, with just a piano and Johnson's strong, deep and soulful voice. Catchy song 'Welcome' is a stereotypical indie hit, with minimal drums, lots of acoustic guitar and lyrics about being in love - but works so well, it's just do damn catchy and is sure to be a radio hit. Most of the tracks are made with just an acoustic guitar and Johnson's voice, something that you don't see in the mainstream everyday, with auto-tune being used everywhere in the industry. What makes this EP so great is that Johnson is on his own, something many people upon hearing this record for the first time may not realise, showcasing that individuals can sound as good as a collective. 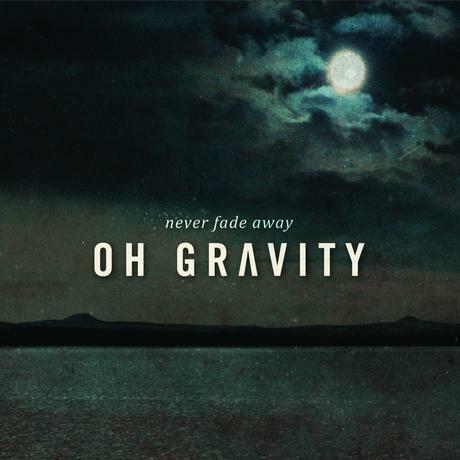 Never Fade Away is going to be the start of something big for Oh Gravity. You can follow Paul Johnson as Oh Gravity on Facebook, Instagram & Twitter to see what he's up to. WeVolve Music also have social media pages too, so follow them on Facebook and Twitter too. Don't forget to follow my Bloglovin' page to see what I post next, as soon as I post it.